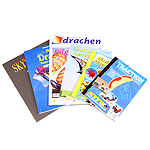 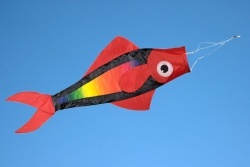 Metropolis Drachen | Windsocks | Buy online now! 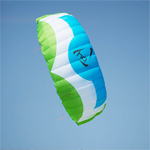 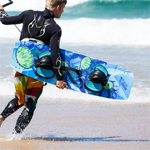 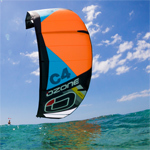 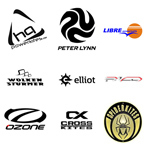 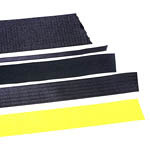 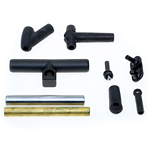 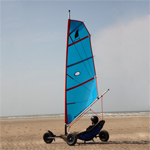 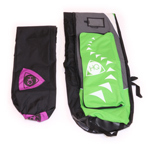 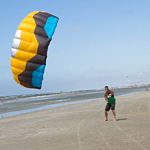 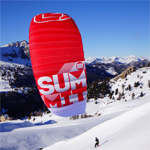 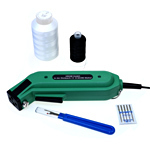 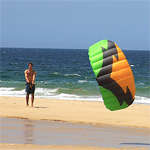 The Peter Lynn Midi Piranha is not only a line laundry, it is a perfect tool to stabilize kites. 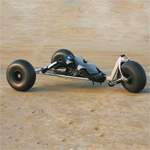 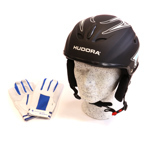 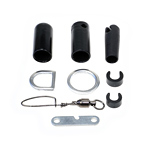 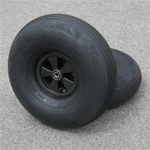 The Piranha will add some drag where you need it. 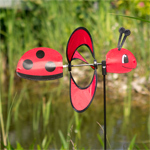 It beckons curious onlookers for a closer look as it playfully dances in the wind. 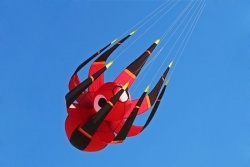 With its 3-D body and eight long legs, this harmless arachnid is enticing and sure to make everyone smile. 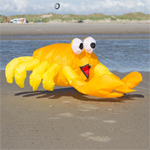 This friendly creature from the deep amuses everyone with his watchful eye. 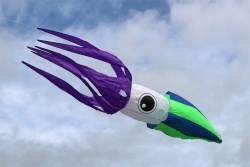 The Squid is a big, surprisingly affordable, piece of line laundry. 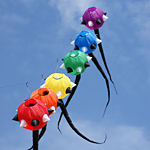 The Spiky Orb is a colourful windsock in the well known Willie Koch Design. 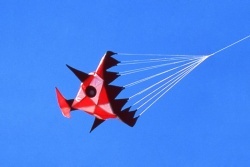 A perfect line laundry, even for smaller lifter kites. 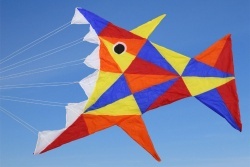 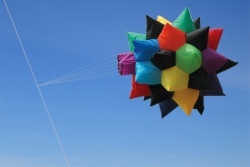 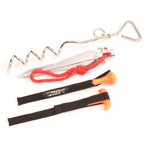 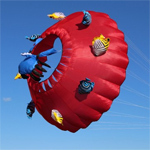 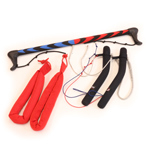 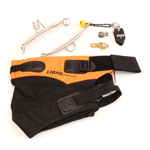 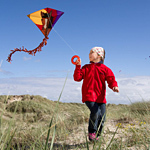 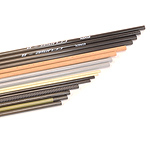 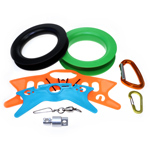 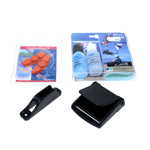 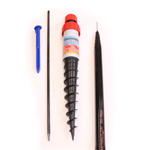 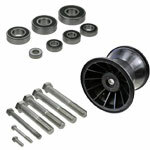 The Piranha is not only a line laundry, it is a perfect tool to stabilize kites. 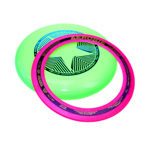 The Piranha will add some drag where you need it. 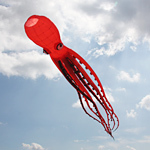 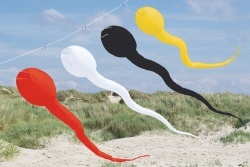 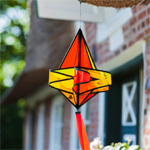 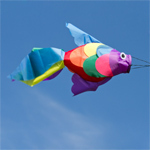 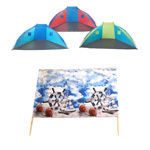 The Tadpole´s are a perfect eyecatcher on every kite line or flag pole. 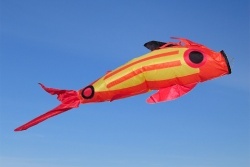 With 2,4m length and a diameter of 25cm the Tadpole´s are perfect for a making small group. 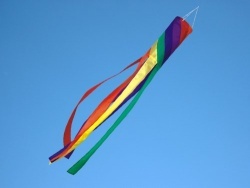 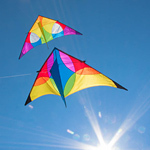 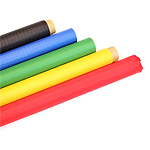 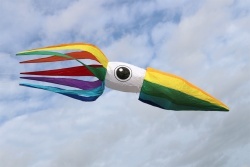 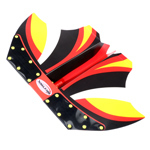 The windsocks from Premier Kites are windsocks in the classic rainbow design. 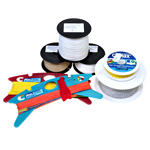 For use as line laundry and windgame. 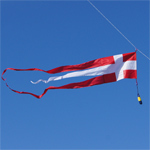 The Wolkenstürmer windsocks are perfect line laundry which is easy to handle for everyone. 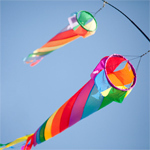 Funny design and bright colours makes the windsocks to an eyecatcher.